Volume 2 does what it says on the can - it continues from where the first volume left off. It looks at the bloody years of 1978 and 1979. It covers eyewitness accounts from soldiers on the ground and there is the occasional comment from civilians who were living in the troubled province at the time. There are accounts from the IRA atrocity at the la Mon Restaurant when the terrorists used a napalm-like device to incinerate 12 innocent civilians; it includes the murder of Lord Mountbatten, hero of Burma, and some of his family and staff on his yacht in Co Sligo. It also covers the worst tragedy for the Army in Ulster, the murder of 18 soldiers at Warrenpoint. Every single troubles-related death and every major incident is covered and includes those soldiers who died in 'non-battle' incidents, the ones who are not included in the 'official' figures. The book pulls no punches and the author is outspoken in his criticism of the Irish-American community and their incredibly naïve support of the Republican terrorists who almost destroyed an entire country. The author condemns in equal measure the paramilitaries of both sides and considers the evil activities of Lenny Murphy and the 'Shankill Butchers' as bad as anything which the Provisional IRA or INLA did. The book looks at individual incidents and tries to examine the terrorist mindset and their motives for the atrocities which they carried out in the name of their communities. It supports the security forces unequivocally but renders criticism where appropriate. The book examines the role of the young soldiers from Leeds, Liverpool, Manchester, indeed from every part of the UK from which these young men came. It looks at foot patrols, riot control and the daily fear and threat under which they operated for their four month or two year tours. Read carefully the words of an Irish-American who clearly is contemptuous of the way her fellow Americans almost sleepwalked into supporting the IRA from afar with the dollars which they placed so willingly into the NORAID collection jars. The level of detail and research the author goes into is phenomenal and demonstrates his commitment to continue telling the story of one of Britain's forgotten wars. Ken Wharton is 59 and is resident now in Australia with his partner Helen. Father of seven and grandfather to three with a fourth pending, he is a skydiver and former football referee. He is also a former soldier and now author of three oral histories on the Northern Ireland troubles. He writes from the perspective of the British soldier as he seeks to put across their story of a conflict, largely forgotten by both Government and public, which claimed the lives of around 1300 military lives. 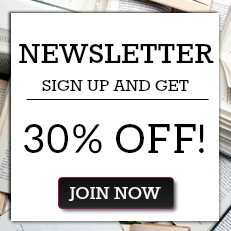 / He has only been writing since 2007 but is planning a further oral history of the troubles, a book on the Australians in Vietnam and a childrens' science fiction book over the next year or two. / There is a clamour from veterans of the Northern Ireland conflict to tell their story and ensure that the truth comes out and in Ken Wharton they have found a conduit for those stories and a man they can trust to ensure that the truth is finally told about the conflict which raged not only a short 30 minute flight from home but also on our own doorsteps. Without Ken's voice many of these tales would be lost to the sands of time and the courageous sacrifice of these men would be forgotten; but thanks to him they won't and their stories will live on. All of us who have ever worn green owe Ken and the men he writes of a debt; because lest we forget it could have been us. 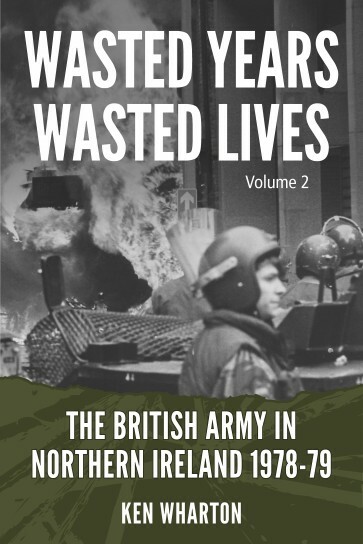 Another compelling insight into the British Army's long war in Northern Ireland. Deeply moving, often tragic, sometimes darkly funny, it gives a startling insight into a normally unseen side of the Troubles. Students of Irish history owe the author a huge debt of gratitude for assembling such a unique and indispensable narrative. A crucial reminder of the sacrifices of our armed forces in Northern Ireland - even more timely with prosecutions being mooted over Bloody Sunday." Like every good investigator, Ken Wharton is relentless in his pursuit of the facts and remains true to the evidence. Through his crisp, direct crisp storytelling he makes the past accessible for the rest of us and adds a special dimension to the study of conflict. A former squaddie who himself patrolled the dangerous streets and lanes of Northern Ireland, Ken Wharton once again succeeds brilliantly in recreating what it was like for a soldier to be there in the darkest days of the Troubles. A must-read for anyone interested in knowing what really happened.